My name is Katie, and I’m a blogger/photographer, wife, and mother in Southern California. 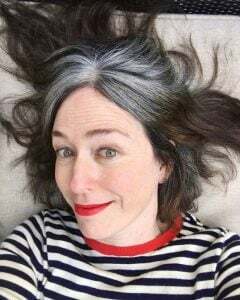 I started going gray in my teens and dyed my hair for over 25 years. 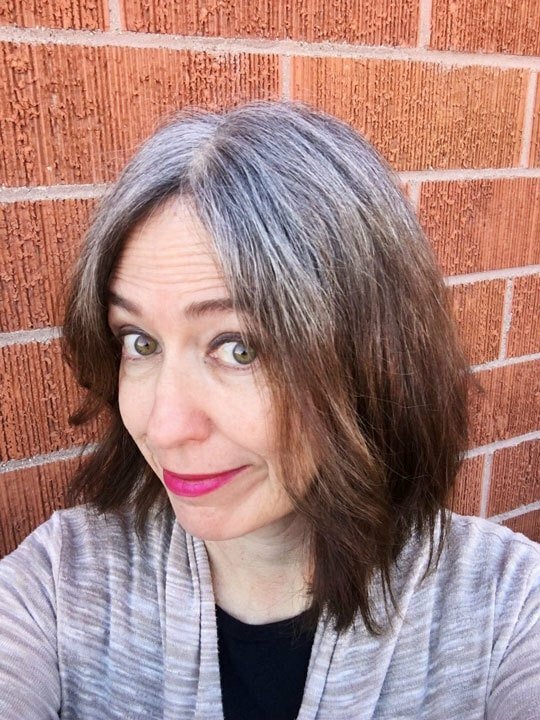 Every so often, I would see a woman around my age with beautiful, naturally gray hair and I would think about growing out my grays. But I would always stop myself. February 2018: Shortly after my last dye job. 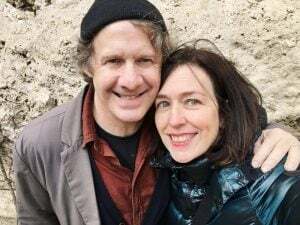 In February 2018, at age 50, I decided I’d had ENOUGH! I just couldn’t bear the thought of spending any more money and any more time trying to hide my natural hair color. By a strange coincidence, one of my friends had just started going gray and she gave me that extra boost I needed to make the transition. To my surprise, the minute I decided to stop hiding my age, I felt so liberated that it has changed my outlook on life in general. I’m bursting with creativity and energy, and I’m hoping to transmit some of that in this blog! 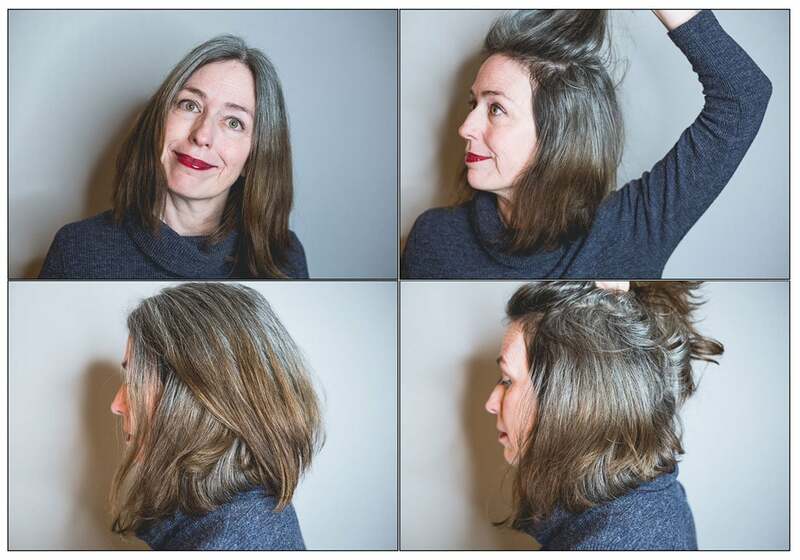 On these pages, I’ll be discussing the gray hair transition (emotions, products, hair care), and once I’m finally all gray, I’m sure I’ll also have some tips & tricks on how to take care of your gray hair. It’s great to see women of all ages choosing to go gray. Maybe we can finally get rid of the notion that gray hair is frumpy! Thanks for reading. And please sign up for my weekly newsletter (I won’t spam you, I promise!). Need to reach me? You can contact me here. Please note that some of this site’s links are affiliate links. Katie Goes Platinum is a participant in the Amazon Services LLC Associates Program. As an Amazon Associate, I earn from qualifying purchases. I will earn a small commission (at no additional cost to you) if you purchase items through my product links. I only link to products that I personally recommend, or that have been recommended to me by one of my silver sisters.